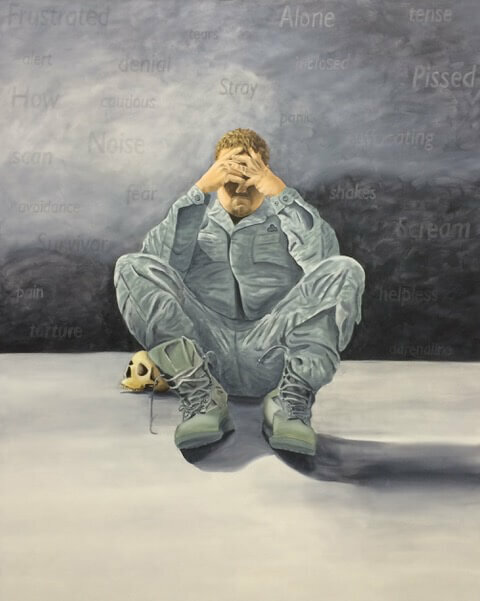 The Fred Simon Gallery opens its 2019 season with Effects of PTSD, a solo exhibit by Elizabeth Boutin. 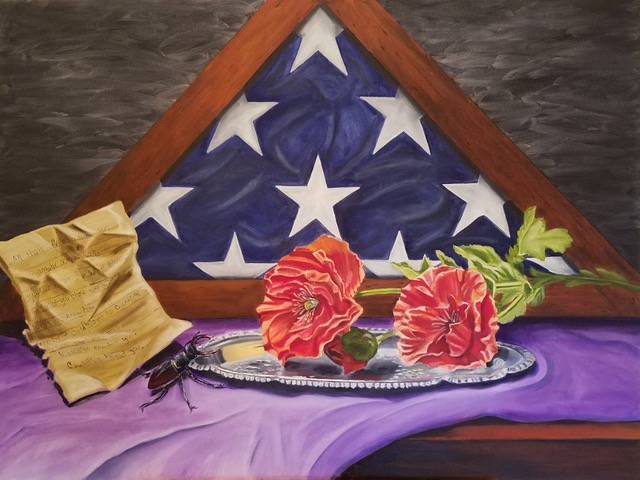 The artist, a military spouse and Red Cross volunteer working with wounded combat veterans, will exhibit a group of painting inspired by her close involvement with the wounded and her own experiences with depression and PTSD. Sometimes referred to as shell shock or combat fatigue, Post Traumatic Stress Disorder affects more than those directly involved in combat. It also affects medics, nurses and volunteers working with the wounded, and by association, family and friends and coworkers of those more directly suffering. Boutin’s realistic paintings are gleaned from her own personal discoveries of how she and others deal with the debilitating effects of the psychological wounds. With a nod to the Vanitas paintings of the 17th century Netherlands, her symbolism, however, ventures beyond mortality and death of that archaic style toward a more open-ended application. Effects of PTSD commences with an opening reception on Friday February 1st, from 5 to 7 p.m. The show runs through March 30, 2019. Further information is available at 402-595-2122.